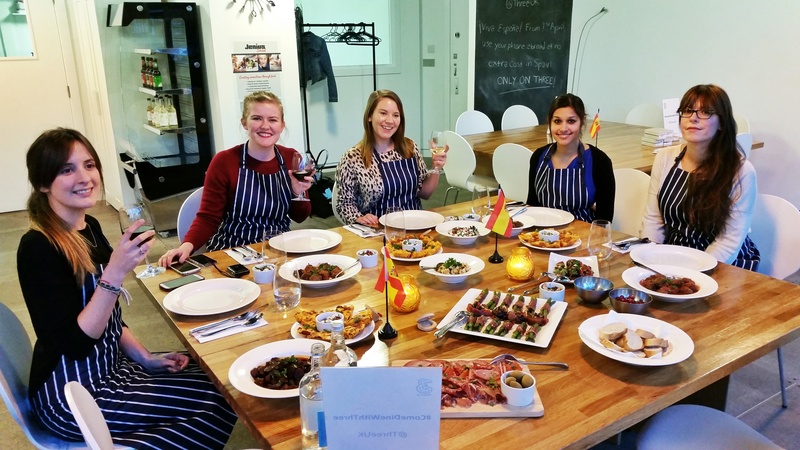 A Spanish Tapas Cooking Class at Jenius Social, London – Why Waste Annual Leave? Has anyone else noticed how the city of London has a supernatural way of metamorphosing regular human beings into exotic species of foodie. There are the fine foodies, who wear Michelin stars like jewellery, their life events accompanied by rooftop dinners and sensual cocktails, who speak a language of sous-vide and gougères. There are the street foodies, supported by a padded pair of trainers, traipsing zealously between London’s most renowned markets and obscure corners to find brioche burgers with insanely tender pulled pork, obese Burritos exsanguinating chilli sauce and brownies so squidgy you could sink in them (and I happily would). There are also the Masterchefs-in-the-making, for whom every sleepy Sunday is an opportunity to cook flawlessly coordinated appetisers at gourmet dinner parties you will never reciprocate, because you know with a heavy heart that your best lasagne simply won’t compare. Certainly, this is the apprehension that stops me from cooking for friends more often. But what can be said of tapas? Can tapas change everything? Here’s the thing about it that should appeal to those of you who love to entertain and cook but have no plans to serve food in jam jars, on fire or with sound effects. 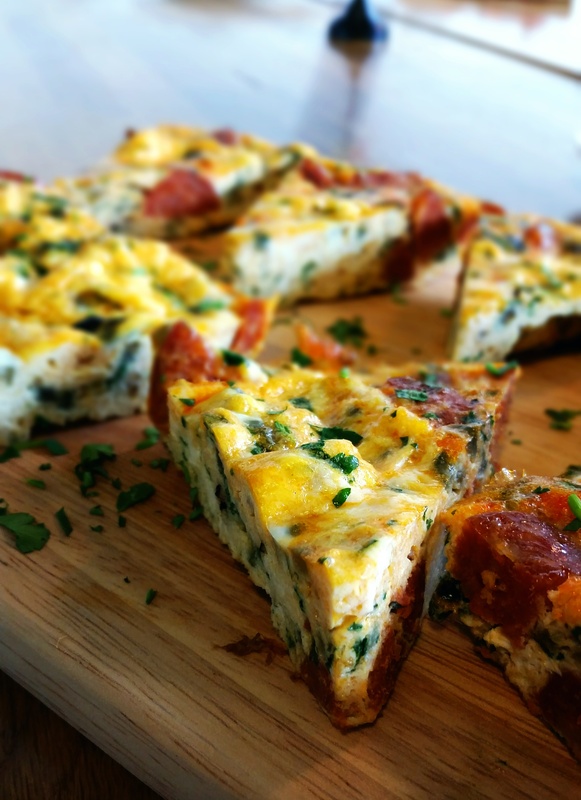 Tapas is all about small portions and sharing plates so you can cook it simply in handy bite-sized chunks. 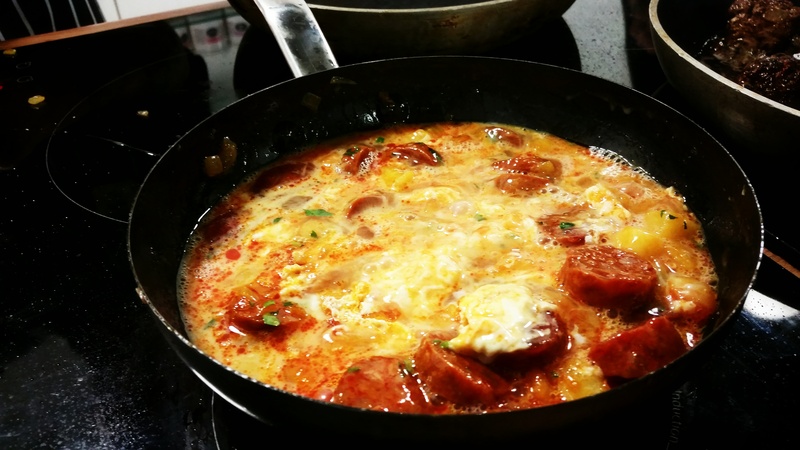 Most tapas dishes can be served either hot or cold and many can be prepared in advance. This gives me ample time to get it wrong and start over. Believe me, it happens. Often. Before blogging, I was the wife who nagged Pumpkin tirelessly about number of hours spent on (his) smart phone. Post-blogging, I myself metaamorphosed into a common species known as hypocrite but I know I am not the only travel blogger guilty of trying to get in a tweet here and an Instagram there whilst on holiday. 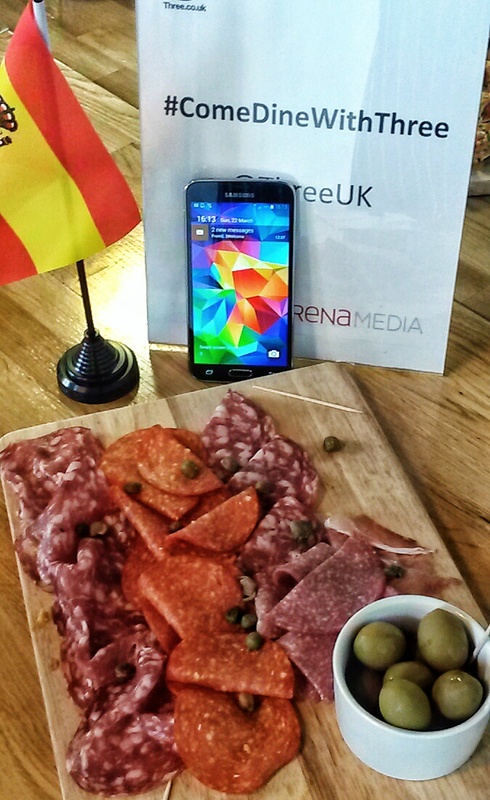 With Three’s international phone plans, you can use your phone abroad at no extra cost – yes no extra cost (!) 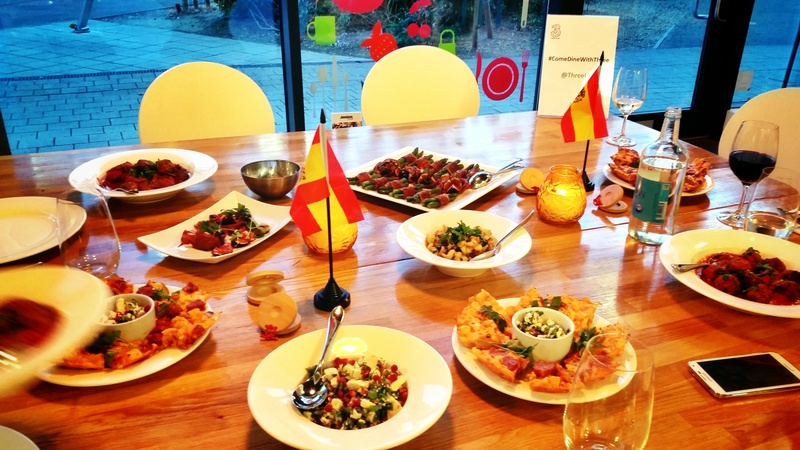 in a whole host of countries and with Spain being the latest to be added to the list, I gladly accepted their invitation to celebrate with a feast of tapas at the #ComeDineWithThree event. 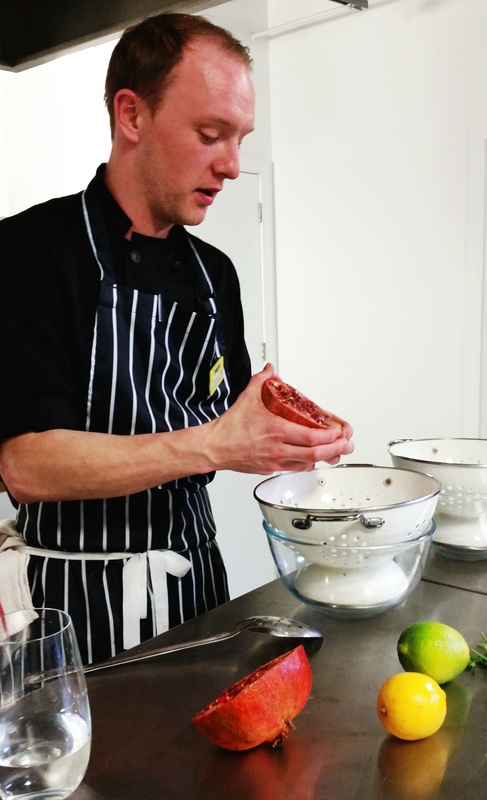 Supervising us for the afternoon was a charismatic chef from the friendly team at Jenius Social, who has trained and worked all over the world with the likes of Jamie Oliver and Yotam Ottolenghi. 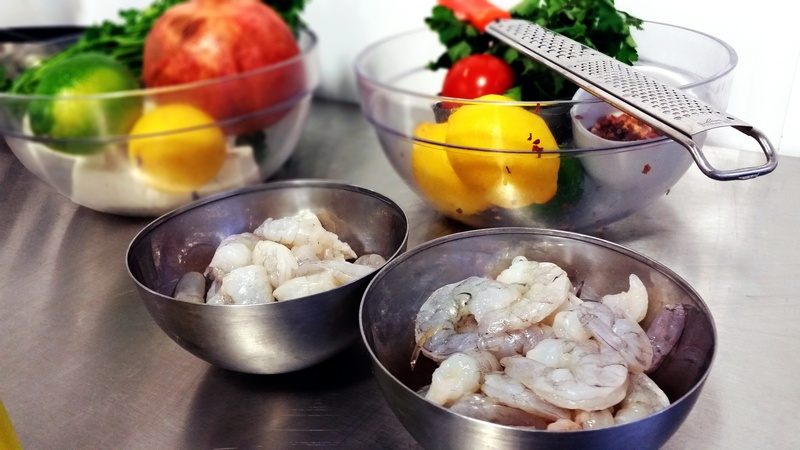 Aside from learning which herbs need sprinkling into the dishes and the correct melange of ingredients that gives the chorizo that intensity and the asparagus that crunch, we learned some useful basics such as the optimal way to butterfly prawns, empty out a pomegranate, even zest a lemon. 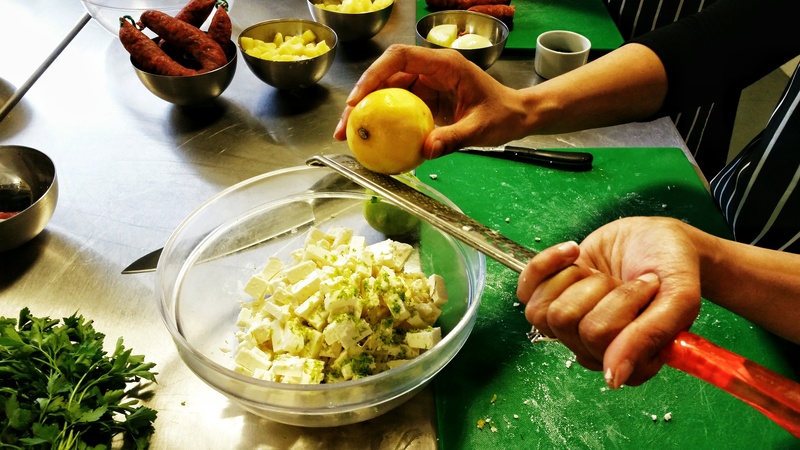 I got my hands messy marinating the tangy feta, pomegranate and citrus salad, which was bursting with summer colours and nutritional goodness before joining forces with the tortilla-creators. What I loved about our final tapas meal was the way in which the varying hues, food groups and key flavours drew together to deliver a dinner that was delicately balanced into harmonious equilibrium. We had carbs, protein and dairy, we had vitamins, minerals and natural fats and we were at liberty to take as little or as much as we wanted. That’s part of the charm of tapas cookery. 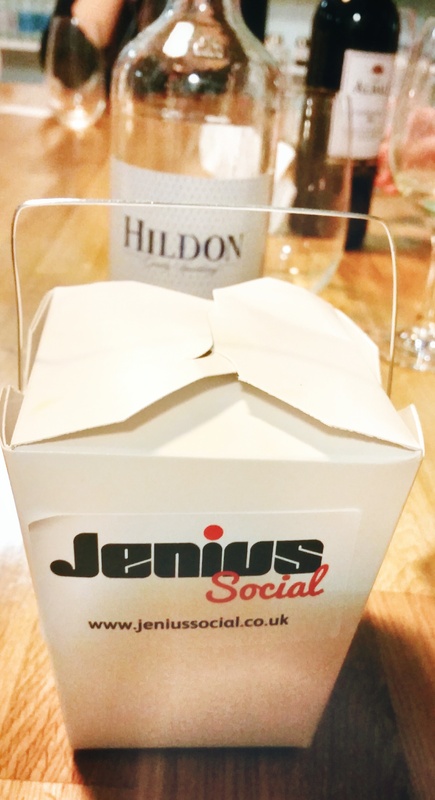 Jenius Social is a charming little space just a stone’s throw from Holloway Road station, where you can participate in group or private cookery classes, attend supper clubs or arrange corporate events. And if you have specific dietary requirements, fear not, the chef told us he takes this as a welcome challenge! 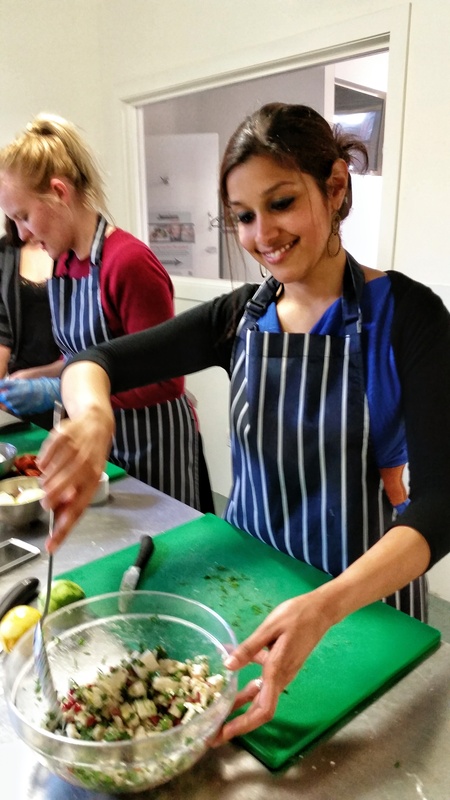 I was a guest of Three Mobile and Jenius Social for this cookery class but I remain an opinionated little lady and all views, good or bad, are entirely my own. People who can cook are wizards as far as I’m concerned. Your photos are definitely gonna be making a lot of people hungry, it all looks gooooooooooood! Hehe thanks Frankie! It was tasty stuff and I’d love to take credit for all of it but I can assure you it was very much a team effort as I’m definitely not wizard material  I think this is why husband relished the chance to eat a meal far exceeding what I normally cook! Wow, you made some amazing looking food! I completely agree that London has a way of making foodies out of people! Everything looks so delicious!! 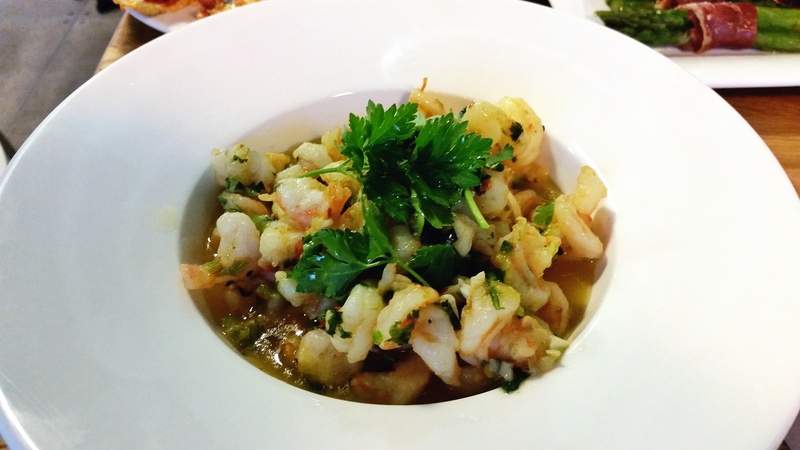 As a self-professed grazer, tapas is right up my alley. And I totally need a lesson on how to empty out a pomegranate–I mean, it’s fun to constantly stain myself (or pay for the already separated seeds in the grocery store), but really I should learn how to do that properly. I’m a grazer too Heather so I can totally relate! And yes, emptying out a pomegranate sounds like such a simple thing that I’d never have thought it would need teaching but like you say, it’s not a skill I’d ever managed to figure out before and I’d always bought the overpriced pre-packed tubs so I’m glad the chef showed us! I really wish I could reach right through the computer screen and help myself to some of that wonderful looking food. 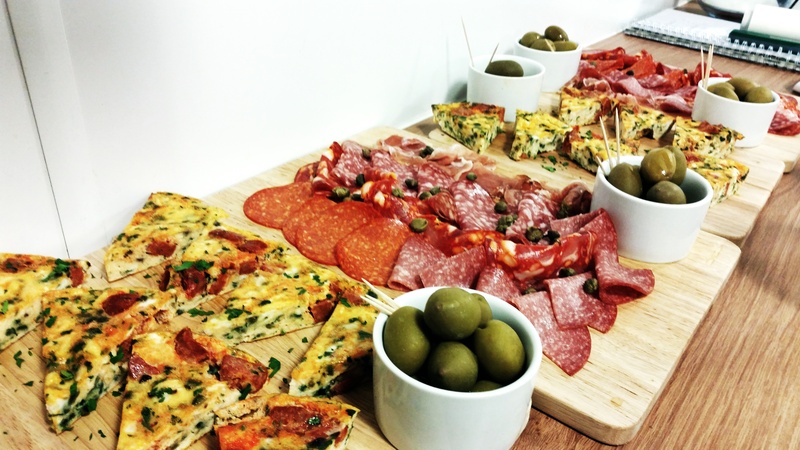 I’ve never made tapas, but I really like that it’s so ideal to make for a party. I hope they gave you recipes so that you could make that at home. All of this food looks AMAZING. I’ve got really fixated on looking at pictures of food on pinterest at the moment and i’m desperately craving some Spanish food so i’m very jealous of you. 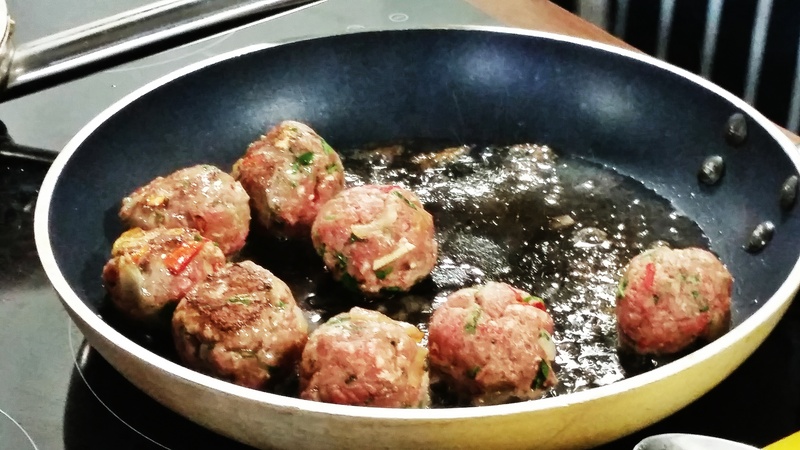 Cooking classes look like a lot of fun – I need to try it out! Haha, that’s true! Tapas bites really are so colourful and full of flavour Lily ☺ Thank you so much for reading! The food looks so nice! Lucky you that you got to bring home Chorizo 🙂 Never realised that about 3, should check out what their deal is in Ireland. Yes I only found out a few months ago myself Ash and now am kicking myself for how helpful those Three international phone plans would have been on my previous travels if I had realised earlier! The food was delicious and it was nice cooking it as a team in a small cosy group where we all got a chance to chat and mingle as well as cook! Wow! What a great and unique opportunity and so much amazing food! It all looks so good! Personally, I would love to make the tortilla. 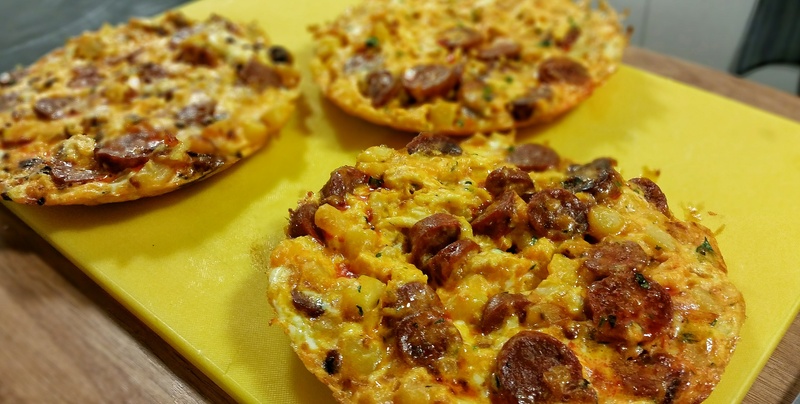 You’re so right about sticking chorizo in anything and it tasting good Katie! 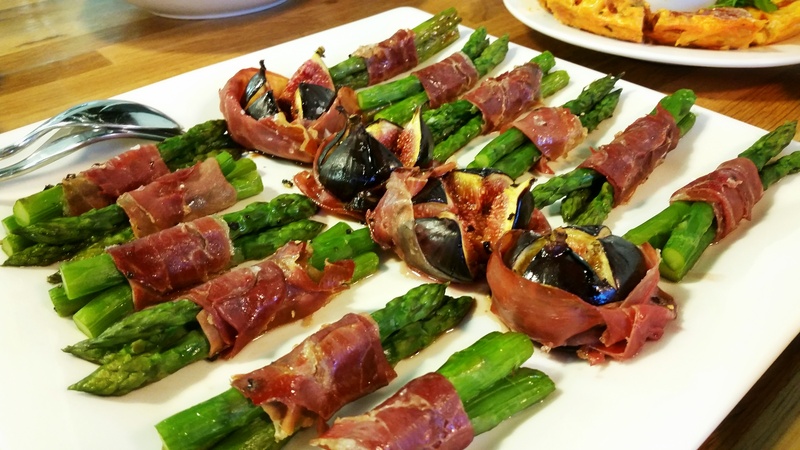 And I’d never really though of myself as a fig person but I loved it with the balsamic and Parma ham ☺ I’ve only made tortilla once before at home but definitely going to try again now! 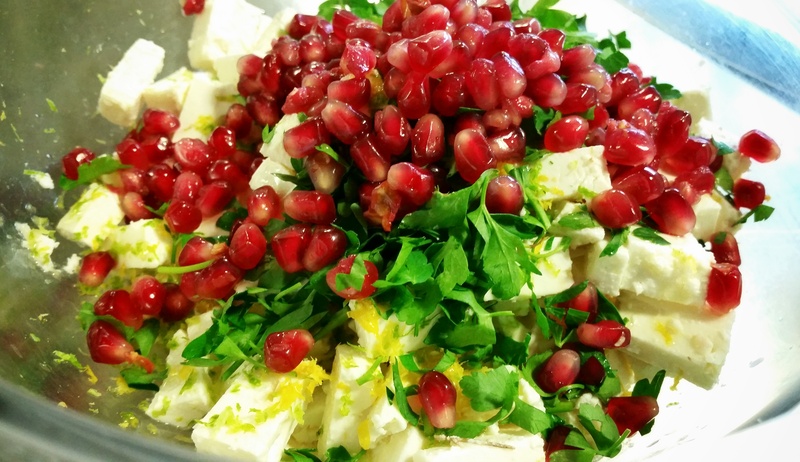 All that food looks so vibrant and delicious – and your pomegranate salad would really hit the spot. Tapas is such a great idea for supper with friends. The photos are superb too. Aww thanks so much Suzanne ☺ I always love reading your foodie posts so I’m delighted you liked this! The pomegranate just has such a refreshing way of lifting a dish. The class made me realise I don’t use it nearly enough as an ingredient on either sweet or savoury food. Such a colourful and healthy addition to a meal! This looks like so much fun! 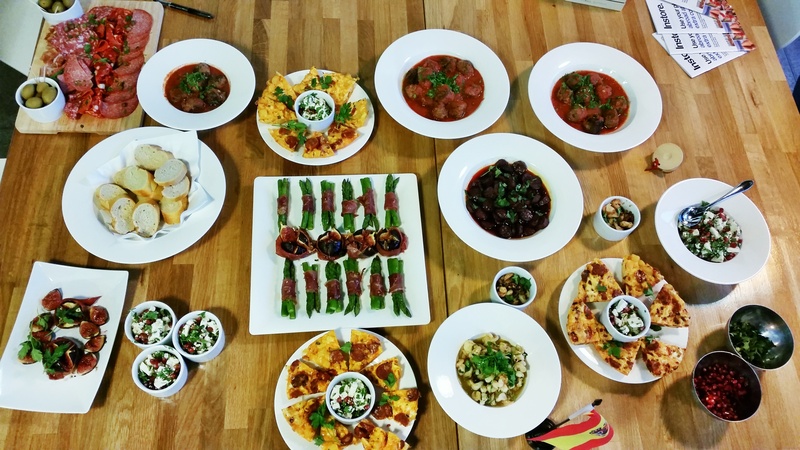 I love taking cooking classes, and Spanish tapas are one of my favorite things! 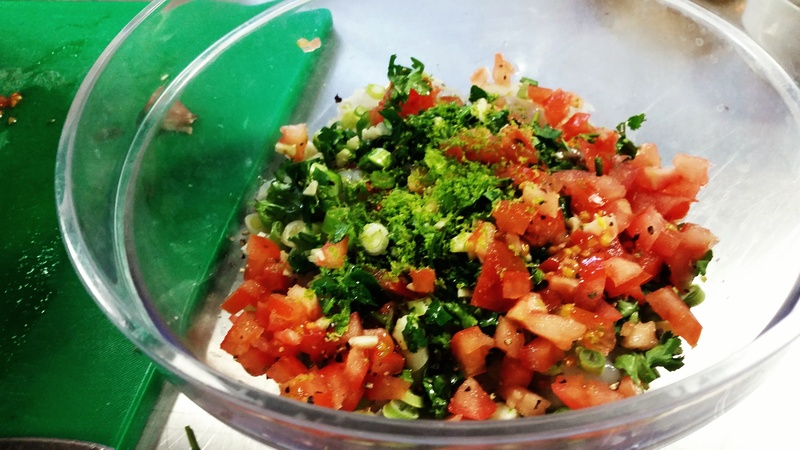 It all looks so delicious, and the ingredients are so fresh – yum! Thank you Katie! It was delicious and so fresh as you say! 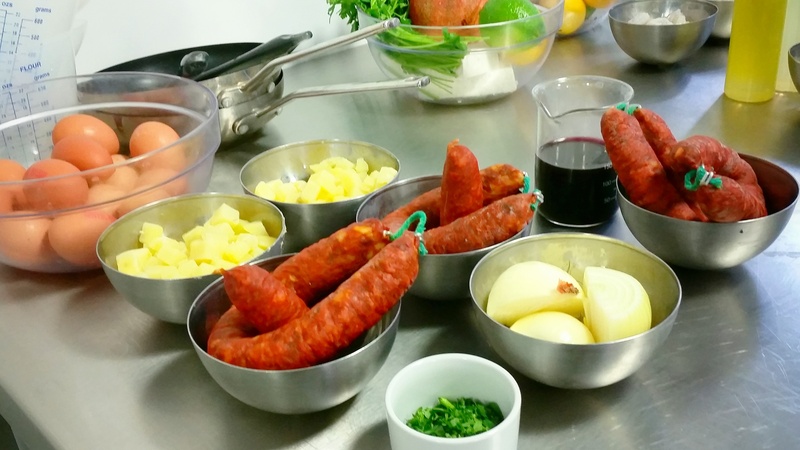 I love doing cookery classes too but ill be honest and say that sometimes in the past when I’ve left them, I’ve ended up wondering whether I’ll ever be able to reproduce them at home – but this tapas class, I actually felt perhaps I could as it really was less complicated than I had imagined! Those dishes look so colourful, who wouldn’t want to be greeted at those for a meal! I love making tortilla but I don’t think I’ve ever made one that looked that good, and your salad sounds delicious! I’m very happy with Three’s new at home plan, great for blogging on the road! (that’s why I switched). Pingback: Cuca Jimbaran Bay – A Unique Restaurant Experience in Bali | Why Waste Annual Leave? 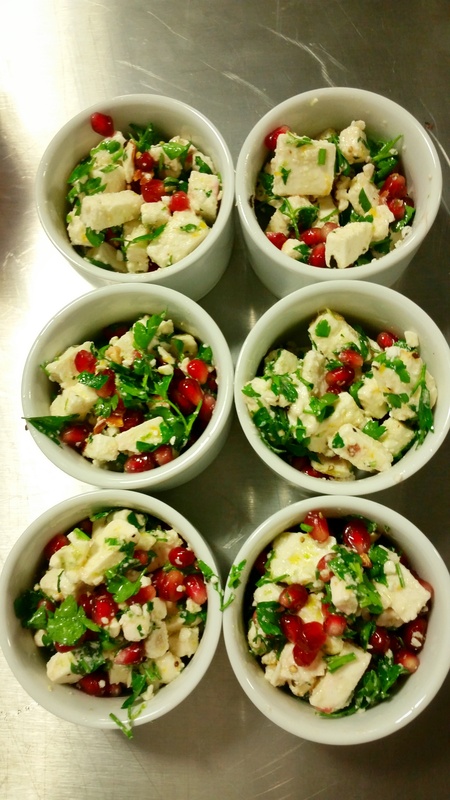 The salad is so easy Emily, so fresh and summery ☺ I liked the fact that it all looked and tasted impressive & yet was reasonably straightforward to prepare! Super jealous of your San Sebastian break – it’s going to be an absolute foodie heaven and I can’t wait to see your pics! 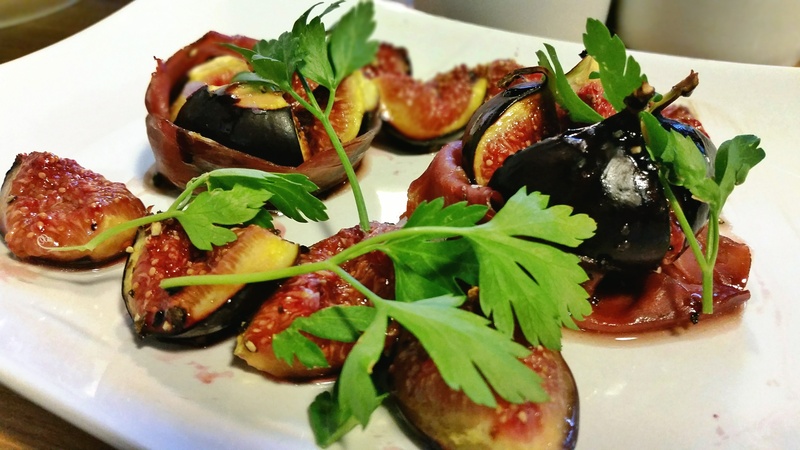 Pingback: Tasty Tapas at Taste of London | Why Waste Annual Leave?